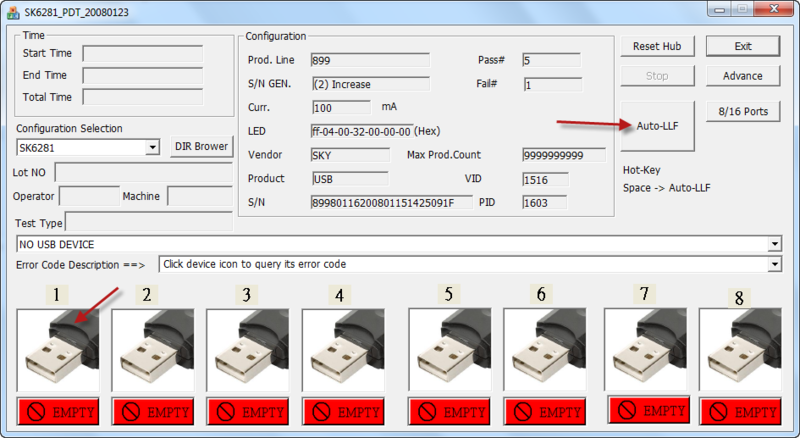 Repair damaged Skymedi USB flash drives .Download Skymedi SK6281 PDT 20080123 firmware and reformat your flash disk .Remove write protection and fix other SK6281 format errors . Skymedi SK6281 PDT 20080123 format tool is designed to repair corrupted Skymedi Chip controller with SK6281 Chip vendor .SK6281 PDT 20080123 format software can update your flash firmware and fix format errors such as write protection , Insert Disk error message ,Windows can't able to format disk and other format problems . SK6281 PDT 20080123 support reformatting Skymedi SK6281 only so please you must be sure that your flash drive vendor by using Chipgenius software or USBDeview V2.30 utility. How to repair Skymedi SK6281 flash drive ? Download SK6281 PDT 20080123.rar from download links below . 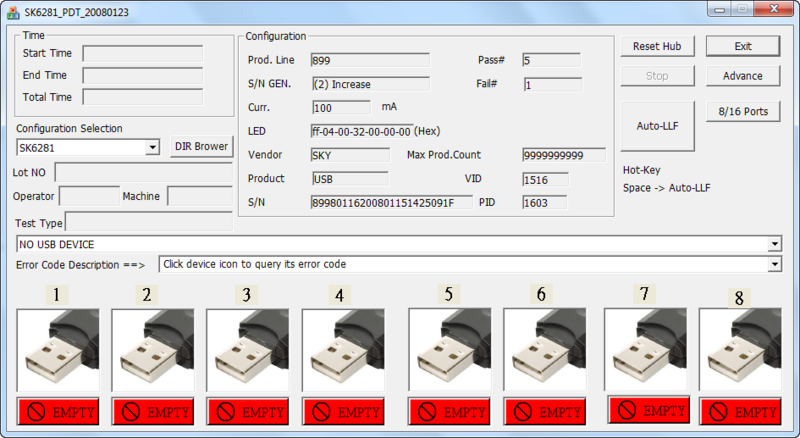 Insert corrupted Skymedi SK6281 flash disk to your PC . Open SK6281_PDT_20080123.exe and if your flash drive supported , you will see the flash information appears on the software interface . Click Auto - LLF to begin updating SK6281 flash firmware . Took some photos of the Skymedi Chip on my corrupted USB Drive. Please tell me how to either upload to website or other place of your choice.